Straighten teeth, discreetly by Nuvola® invisible braces. Repositioning of teeth using tooth coloured braces can also be used to straighten or reposition teeth, or the removable more invisible type of brace. This is usually carried at the same time as other treatments such as dental implants or cosmetic treatment. Nuvola® braces, offered at ProDent Care Dental Clinic, are the invisible alternative to traditional orthodontics. Using a series of clear aligners, Nuvola® braces comfortably adjust your teeth without your being poked by metal wires or gouged by metal brackets. Wearing Nuvola® braces is almost like wearing no braces at all. These revolutionary invisible braces restore self-confidence to our patients as their smiles are restored. No longer will wearing braces leave you feeling self-conscious about smiling. Your Nuvola® braces will be virtually unnoticeable to almost everyone. Unlike their traditional, metal counterparts, Nuvola® braces are removable. These remarkable invisible braces available at our UK studio can be taken out when you are eating, flossing or brushing your teeth. Typically, treatment with Nuvola® braces is about half as long as treatment with traditional metal braces. 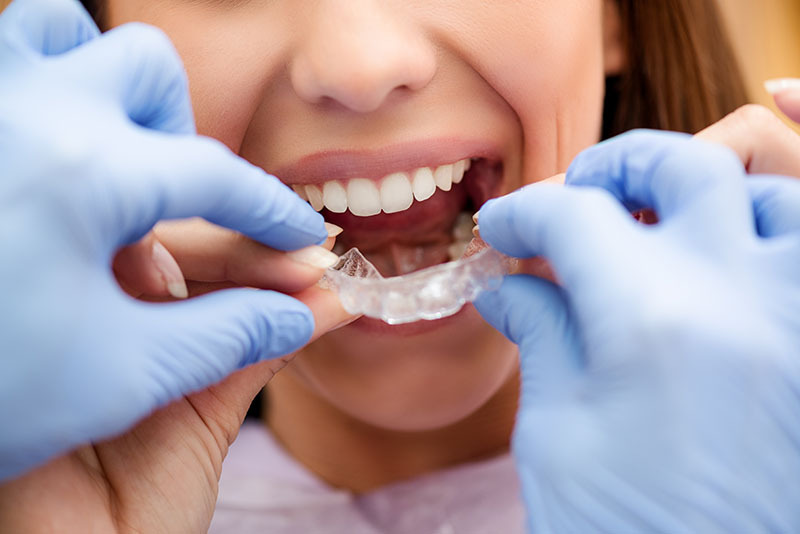 Your Nuvola® aligners are replaced about every two weeks, gradually guiding your teeth into a straighter position. You can expect to see your Nuvola®-certified orthodontist or dentist, on average, every six to eight weeks for routine adjustments and to monitor your overall progress. With invisible braces by Nuvola® becoming more and more popular amongst our patient population, perhaps it is time that you finally accomplish what you have put off for so long.